Google has a number of ongoing pet projects, including internet-dropping hot air balloons to driverless cars, but the next, more down-to-earth item on its agenda is net security. The search company announced it has put together a crack team of security engineers to help secure the web in a mission it's calling Project Zero. Google explained on its online security blog that the team will crackdown on "zero day" vulnerabilities, otherwise known as security loopholes inside services and software that hackers can easily exploit. 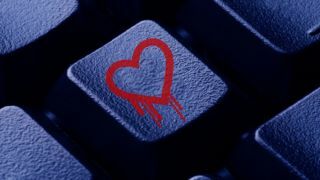 One the of the world's most recent zero day vulnerabilities was the Heartbleed Bug. Ultimately Google doesn't want another unchecked and widespread vulnerability to affect the entire web world. Project Zero won't just look out for flaws in Google's websites, services or Android. Instead, its mission is to look after entire web. If the Project Zero crew discovers a vulnerability, it promised to contact outside companies and organizations to quickly work with them to fix the issue for users. "We're not placing any particular bounds on this project and will work to improve the security of any software depended upon by large numbers of people," Chris Evans, head of Chrome security at Google, said in a release. For an extra element of transparency, Google also plans to document every bug it discovers in a public database once it's fixed. Concerned web browsers can view this bug report to see how long it took programmers to correct the exploit, discussions on the problem and other information, making it something like the Wikipedia of web vulnerabilities. Google is also looking to hire security researchers who want to join the fight. It's a headstrong effort by Google to take on the role of web security watchdog that should benefit everyone in the end. Now the question is how many companies will be comfortable working with the internet giant prodding around with their security protocols.